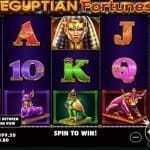 Fortune Teller is 30 paylines and 5 reels video slot game powered by Play’Go Software platform. Minimum and maximum coins per line for the game range from 1 to 4, while coin size is from 0.01 to 0.5. 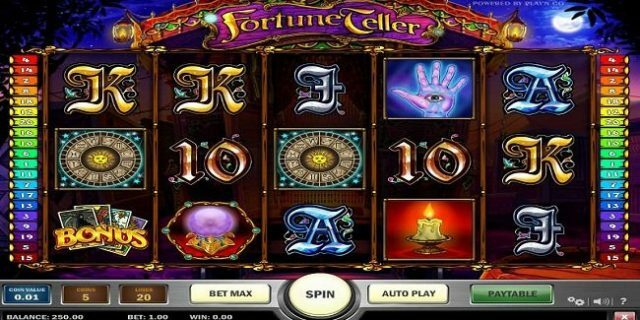 You can play Fortune Teller slot at any Play’Go Casinos for free or with the help of real money. 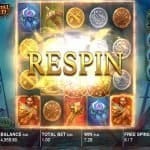 This game offers a jackpot of 7500 coins and return of player percentage is around 94%. The game includes options like “Coin Value” which is used to Change your coin denomination, “Bet Level” is used to adjust the bet per line and “Bet Lines’ is used to choose how many paylines you want to activate. There is a “circular arrow button” available in this game which is used to Spin with the chosen bet and “max bet” option is used when a player wants to spin th reels with a bet of 4 coins on all 30 lines. Fortune Teller is a lot game which provides unique opportunities to the players to walk out as a winner. You can win up to 7,500x, if you landing on 5 wild symbols on active paylines. Crystal balls are the scatter here and if you land on 3 or more scatter symbols on reels you would trigger free spins and reap the rewards of your future. Not only this, but if you land on 3 Bonus fortune tellers on any active paylines among first three reels, you would see a mysterious lady has in store for you. This is one of the slots which can fulfill all your wishes. 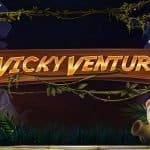 Check out the game.